The Hypro Ultra-Lo Drift Flat Fan Spray Tip is designed to provide large air-filled droplets that drastically reduce drift and perform best with pre-emergence and broad spectrum product applications. 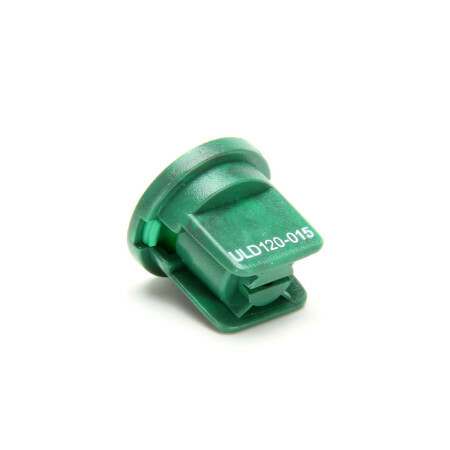 This spray tip is available in green, yellow, purple, blue, red, brown, gray, and white color options. The Ultra Lo-Drift is the ideal spray tip for use where drift reduction is paramount. 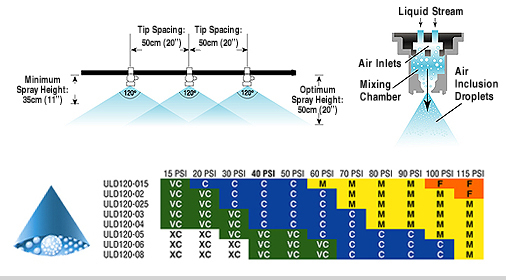 The tip produces large air-filled droplets, which cut drift dramatically compared with a standard fan and conventional low-drift spray tips. Ideal for use with pre-emergence and broad spectrum products.